The jeweler’s shares hit a record high after it beat quarterly earnings estimates and upgraded its outlook. New boss Alessandro Bogliolo is finding fresh luster with cost discipline, sharper marketing and new products. It’s a formula other retailers will struggle to match. 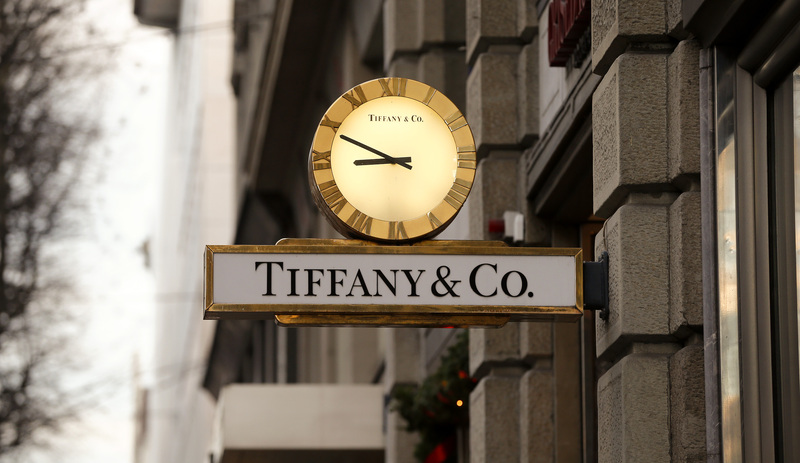 A clock is placed in front of a store of U.S. jeweller Tiffany at the Bahnhofstrasse shopping street in Zurich December 23, 2013. Tiffany on May 23 reported sales rose 15 percent in the three months ended April 30 from the same period a year earlier, to $1 billion. Earnings increased 53 percent to $142 million. At $1.14 a share, earnings exceeded the consensus estimate of sell-side analysts of 83 cents. The company raised its earnings forecast for the fiscal year ending Jan. 31, 2019, to $4.50 to $4.70 a share, compared with a previous range of $4.25 to $4.45.